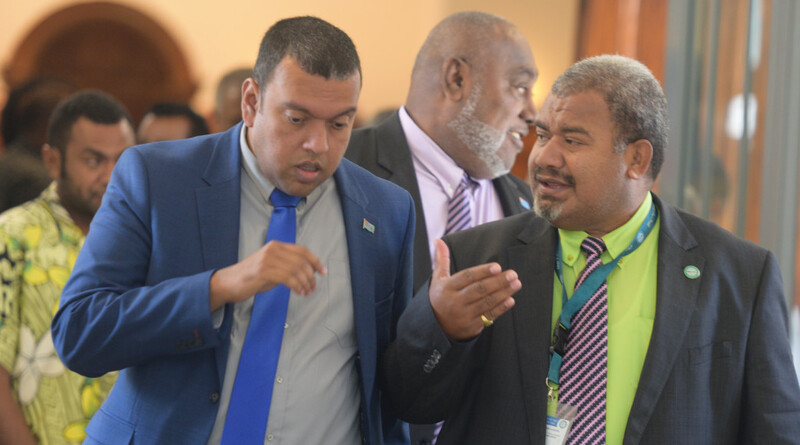 Attorney General and Minister for Economy Aiyaz Sayed-Khaiyum assist Penisoni Saukelea outside Parliament on April 2, 2019. Photo: Ronald Kumar. 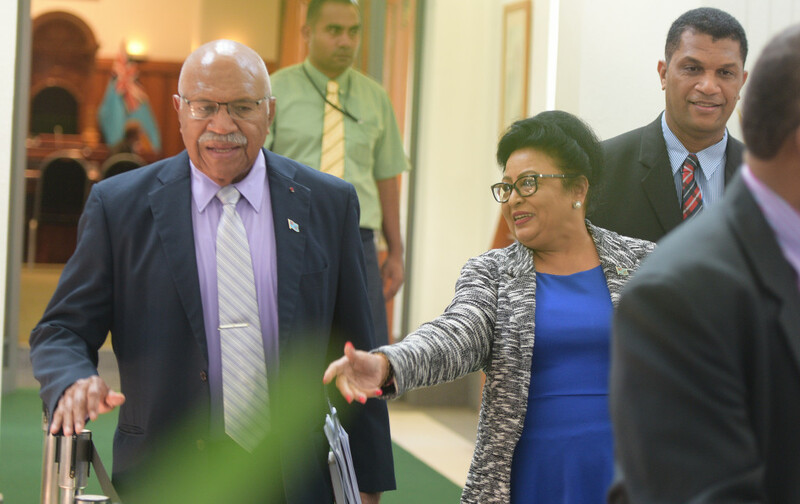 Opposition Leader of Parliament Sitiveni Rabuka with Assistant Minister for Women Veena Bhatnagar and Opposition Member of Parliament Aseri Radrodro outside Parliament on April 2, 2019. Photo:Ronald Kumar. 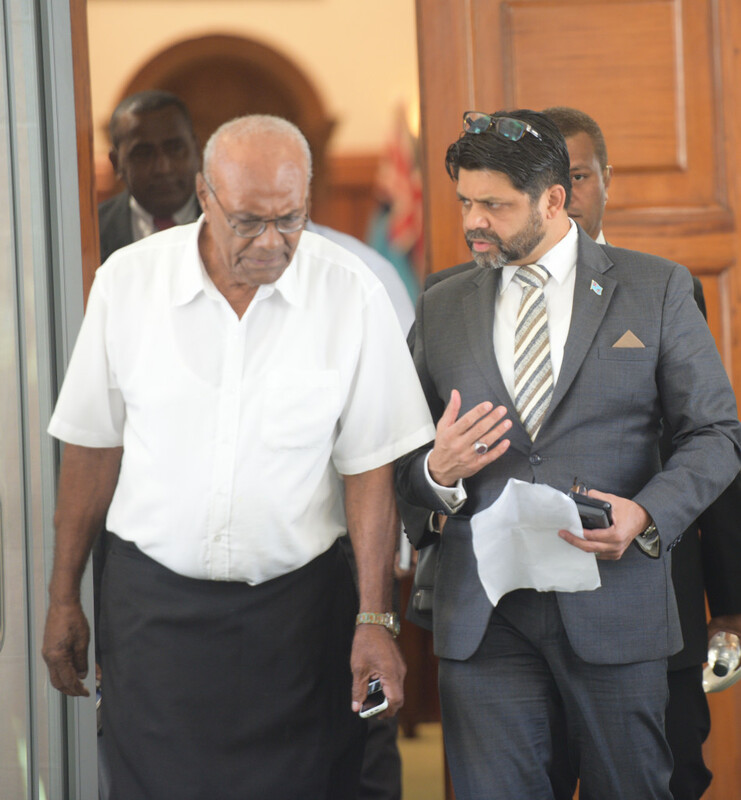 Minister for Lands Ashneel Sudhakar (left) with Opposition Member of Parliament Jese Saukuru outside Parliament on April 2, 2019. Photo:Ronald Kumar. 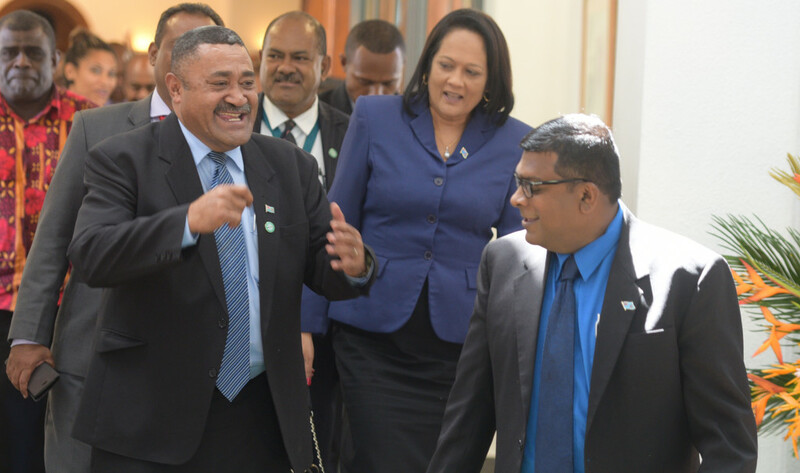 Opposition Member of Parliament Ratu Suliano Matanitobua (left) shares a joke with Minister for Agriculture Mahendra Reddy outside Parliament on April 2, 2019. Photo:Ronald Kumar. 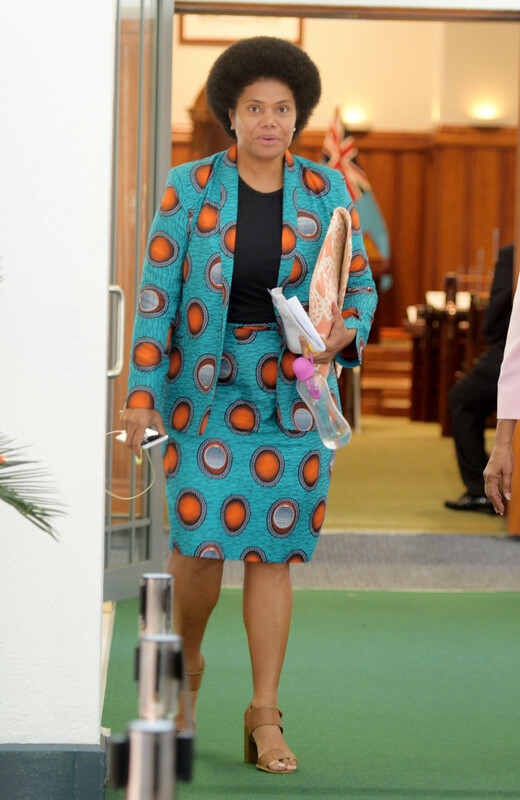 Opposition Member of Parliament Lynda Tabuya outside Parliament on April 2, 2019. Photo:Ronald Kumar.